An understanding of service as an important element of arts missions is essential for long-term institutional survival, to say nothing of vibrancy. The relative balance between focus on art and focus on people is an important choice to make, but so long as there is serious consideration of public benefit successful engagement is possible. There is also a broad range of options available with respect to the amount of energy spent on individuals and on communities (collections of individuals) as well as the types of involvement in the artistic enterprise. Every organization gets to (and should) choose the levels of each which best fit it, with the proviso that service, a broadened view of the community, and some new forms of participation are critical. Returning to the metaphors from the section on the function of arts organizations, one useful description of arts organizations is “curators of the cultural commons.” According to dictionaries, curators are responsible for acquisition and care of those things under their purview. Recently, there has been much discussion of content curation, especially in the realm of sorting through mounds of information—digital or otherwise—and selecting that which should be presented. Curators in the museum world serve both an acquisitions and a content curation role. They select the work to be presented in an exhibition. (In organizations without registrars, they also provide care.) Performing arts presenters are “content selectors,” choosing from the available touring productions. Artistic directors of producing organizations serve a similar function in selecting work to be presented from the extant (or newly commissioned) repertoire. enjoyed by significant percentages of the population. If the commons is not being utilized by the community, it is, arguably, not a commons but a private benefit for a few. A particularly important element of arts missions for the twenty-first century is the degree of “local focus” in artistic and other programmatic choices. The “pursuit of excellence” as commonly understood often leads organizations to strive for a generic, rather than a location-specific, form of excellence. This tends to weaken the relationship between the arts organization and its community. As one way of considering this, imagine a collection of season brochures or exhibition catalogues. In how many is it possible to tell where the arts activity is taking place? In other words, is there anything about the artistic content presented that suggests, much less reveals, the city or neighborhood in which the event occurs? Focused on the art, organizations see “the art world” as their frame of reference and so present programming derived from the traditions (usually European) of their art form rather than from the character of the communities in which they reside. To connect with the community, an intent to be local must be incorporated into all planning. Of course it takes time to learn a region well enough to accomplish this effectively. In winemaking this is not the process of a single lifetime. It is built upon learning across generations. This is why some oenophiles believe Old World wines are superior to New World wines. There have been centuries to perfect the relationship between the land, the grape, and the resultant wines. The metaphor does not, however, need to imply that community engagement must take centuries to bear fruit. (Forgive the pun.) Awakening to the benefit of reflecting the locale in programming is the simple lesson, although doing so effectively requires effort to learn and understand the community as well as the winemaker understands the land that provides the grapes. It does take time, just not centuries. As excellence in wine is rooted in its terroir, excellence in community engagement is location-specific. (As will be discussed later, one element ofartistic excellence can also be the degree to which an arts organization reflects its environment.) Every city, community, neighborhood is different. Sarah Lutman in her meditation upon this question—“What would a Minnesotan orchestra look like? A reverie on place”—said the answer is found in dialogue with the community. I would suggest a series of deep listening sessions all around the state, to ask the people themselves what sort of orchestra they envision and what they are able to do to help make that happen. Ask them what it would look like if the orchestra were Minnesotan. I promise you, their answers will be astonishing and inspiring, and will point the way forward. Then, begin the empathetic process of entering into new relationships with people, so that the orchestra our state has worked so long to build can be truly ours. Our state is very essentially populist. Our state appreciates and celebrates the homegrown. Our state is defined by water — rivers, streams, and lakes — and by forests and prairies. Our state has four seasons that express themselves beautifully and vigorously. Much more than nearly every other place, we are do-ers, go-ers, readers, joiners. We participate. We are engaged. We sing.This list is not “gospel,” even for Minnesota. It does, though, provide insight into how similar local lists might have an impact on arts programming and activities. The discussion of Ballet Memphis that follows presents an arts organization making the choice to be local and the positive impacts of that choice on its image and on its capacity to establish a market niche for itself. Finally, there is a fundamental issue regarding the core business of arts organizations in the twenty-first century that must be addressed. What should the role of the arts be as seen by the people being served? In some senses, this is a marketing question. What is the product from the “consumer’s” point of view? However, this question is so seldom considered that an answer needs to be found and incorporated into arts organizations’ understanding of their mission. An apocryphal story will help illustrate the answer. There was a dance company manager, newly hired in November, who observed that his troupe sold thousands of ticket and made tens of thousands of dollars with their production of The Nutcracker. His conclusion was that his audience loved lavish ballets by Tchaikovsky. The next year he programmed Swan Lake in December and sold no tickets. The manager’s misunderstanding of his product, while unbelievable in this instance, does represent an extreme symptom of artcentricity, the tendency to be focused on art rather than the value art brings to people’s lives or even simply the relationship between those people and the arts presented. The arts industry has been wrong in imagining its work to be that of product presenters. The product only has meaning in its impact upon and meaning for people. As the environment becomes increasingly hostile to the health of that product, the focus must be on the people for whom art can and should have meaning . . . and on each organization’s relationship with them. 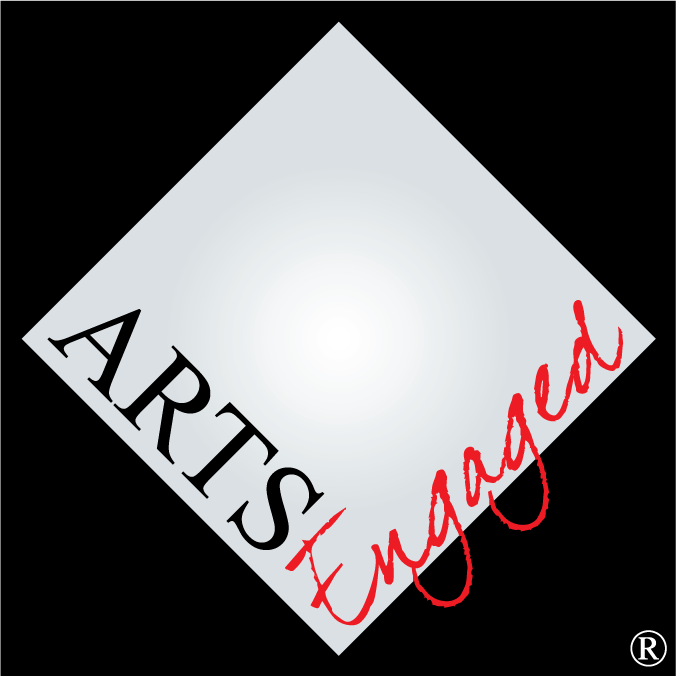 The true core business, whether it has been recognized as such or not, is as experience providers, experiences for those in the communities the arts institutions serve.3 For those tending the mission-focused nonprofit arts vineyards, that means experiences which foster personal growth or social bonding and bridging opportunities. These are experiences that serve the end of improving lives through the arts. For the health of the arts industry and the individual organizations that comprise it, fundamental approaches to mission must be reevaluated. •Service to the community is a given. The nature and depth of that service is a choice to be made. •A commitment to be of the community is critical. •The balance between focus on art and focus on community is a choice to be made, understanding that benefit should be mutual—to the art and arts organization and to the community with which the arts organization is working. •To arts event attendees the events arts organizations present are about the experience and not the art. Mission statements need not reflect an awareness of this truth, but programming and presentation choices must incorporate it. • Details of the mission can include the range of citizen involvement (the spectator to participant continuum) and the degree of “locality” the organization will pursue. Arts organizations will make choices in response to each point above that are specifically tailored to their expertise, history, and desire for connection. They will, in addition, reflect their terroir, and so, in many ways, will be more unlike each other than alike. Arts organizations interested in engaging with their communities will be unique; and it is from that specificity that the deep community support necessary for sustaining arts organizations will spring.